Dubai, United Arab Emirates – 29 January 2019 – Asma Restaurant is now open to welcome its visitors in The Dubai Mall. Initiated by three Emirati sisters whose passion and love for food was passed on from their mother; “Asma”. With culinary traditions steeped in history, fresh ingredients, flavoursome spices and cooking techniques passed down through generations, Asma restaurant brings together the old and the new, playing testament to the unique cultures that inspired the Emirati sisters during their childhoods. Using only the finest and freshest ingredients, Asma excites the unique Dubaian palette that brings back the memories of a home-cooked meals to locals and expats alike. 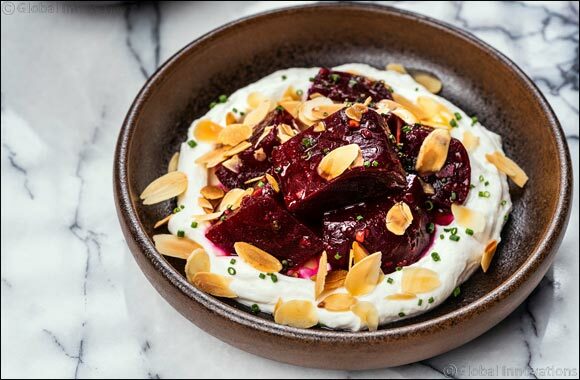 Asma’s menu is designed to encourage sharing and provides guests with the opportunity to travel the culinary world of the Middle East through tasting a variety of dishes including street food and classic dishes of the region. The menu includes taste-bud tingling plates like Asma’s Arayes, Musakhan and Beetroot Labneh, cooked with passion and personality, and main courses that range from the freshest sea food like, Octopus and Smoked Tomato Prawns to tender meat like Lamb Cutlets, Chicken Freekeh and the famous Beef Skewers cooked in the unique ‘Asma’ way. For those with room for more, the dessert menu offers up a fusion of delicious flavours like the Saffron Kunafe, Muhallabiya, and Spicy Chocolate mousse that will leave appetites truly satisfied. With a seating capacity of up to 100 people, guests experience a unique dining atmosphere full of residential and familial nostalgia with a contemporary twist. In order to pay tribute to these delicate dishes made with much passion and love, the three sister are now inviting you on a culinary journey as they welcome you to Asma.